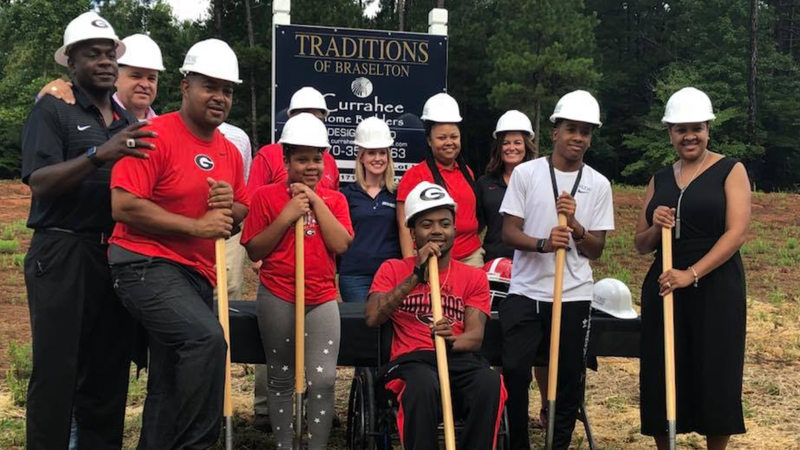 Devon Gales, a former wide receiver for Southern University and Baton Rouge native, is now putting down roots in Georgia. Since becoming paralyzed while playing in a football game against UGA, Gales has exhibited strength, hope and perseverance as he has continued his journey toward healing, with the help of the University of Georgia football team and many others. “It really humbled me as a person just knowing you have to work for everything, basically, going for what you want… and getting all the blessings from Georgia; I’m just grateful,” Gales said. It was the second half of a Georgia versus Southern game. Southern was down 20-6. The plays were normal, the route was normal, but the hit was not. It was feeling weird. you know when you sleep the wrong way and it just feels like a crook in your neck, but it was way more than that,” Gales said. Gales was paralyzed from the neck down after a collision on a kick return by Georgia’s Marshall Morgan. The hit left Devon in intensive, critical condition. After this life-threatening hit, Devon and his family relocated to Lawrenceville, Georgia to continue his rehabilitation and therapy at the Shepherd Center in Atlanta, which specializes in spinal cord injury, brain injury, strokes and chronic pain. Gales has been welcomed by Georgia football and has gained support from all over since the initial incident in Sanford Stadium. Many members of his extended football family have built lifelong relationships with Gales by making weekly visits to the Shepherd Center, inviting him to football games, and most important, helping him make a home away from home. When Gales was initially hospitalized, he had no family with him. He said he is thankful for UGA football’s Bryant Gantt and Lovie Tabron because they have been there from the very beginning. Gantt is an Athens native and the director of player programs, whereas Tabron is the former director of sports medicine at Southern University. She now works as UGA’s sports medicine coordinator. 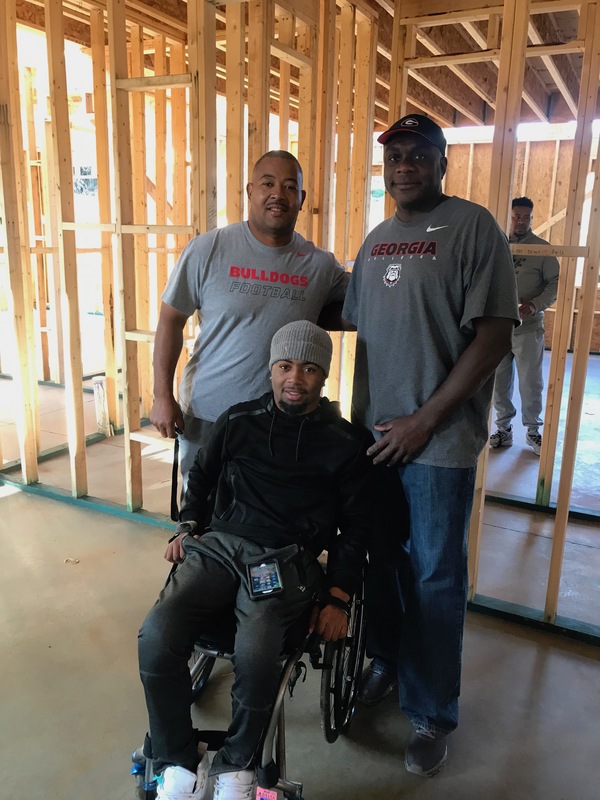 “When Devon was injured, the Dawg Nation really got behind Devon in support of his rehabbing and just becoming one of us…just supporting not only an injured athlete, but an injured person,” Gantt said. Despite Gales’ circumstances, he has kept a positive and uplifting attitude through it all. His mother and siblings have been living in Georgia since Devon started his recovery process, but they are planning on moving into a new wheelchair-accessible home by next summer. This house will be made a home, as it represents mobility, freedom and family for Gales. During the Thanksgiving break, Gales said he visited the construction of the home in Jefferson with his father and Gantt. Although his father was able to come up for the holidays, it’s not the same as having his father here permanently in Georgia. Gales is excited that this home will bring his family together again. “We’re still separated from my father, he’s still in Louisiana …we could be one big happy family again. … And mostly for me, I would be able to have my own independency back,” Gales said. You can still donate to Devon’s house construction fund at http://buildfordevon.com/.